We think Sask Polytech is pretty great. 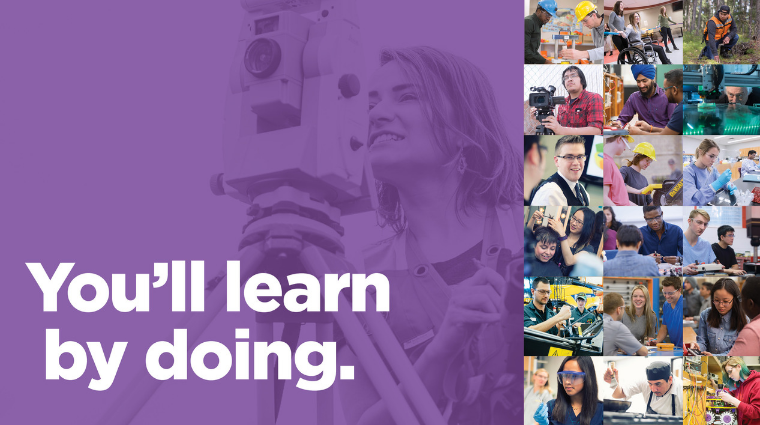 With a hands-on approach to learning, small class sizes and tailored programs to meet the needs of our province, and our country, we prepare students to excel in their careers. But don't just take our word for it. Hear what our students have to say about how Sask Polytech is helping to prepare them for their future. We know that choosing post-secondary education after high school or once you are in the work force is a big step and we are excited that you are considering Sask Polytech. Let us help you to decide if Sask Polytech is the right fit for you. We offer degrees, diplomas, certificates and apprenticeship training that lead to rewarding careers in business, information technology, health, mining, transportation and other sectors of the economy. Depending on your program, you will reinforce your skills through labs, clinical placements, field investigations, outdoor camps, machinery time, workplace practicums and/or co-op work terms. We develop curriculum in consultation with employers and we ensure it's up-to-date and relevant through program advisory committees. Our students and faculty team up with business, industry and community partners on applied research projects, turning classroom learning into real life. Do you know which program you want to take? Great! Do you meet the admission requirements? Great! It’s time to apply. Do you want to be a welder or a marketer? Accountant or chef? With more than 150 programs that touch every sector of the economy, we have something for everyone. Search our A-Z Program Listing to find a program that's right for you. Are you looking for personal or professional development courses? To study at night, part-time or online? Find out more about flexible learning options that work with your schedule. Missing a prerequisite? Need to upgrade? Search our available programs and courses. Do you have prior education, work experience and/or job training that relates to your program area? If so, you could be eligible for credit that reduces your study time and cost. Credit can also be applied from your Sask Polytech program to another institution. Tuition and fees depend upon your program of study. Check out the current tuition schedules. There are a number of options out there to help you pay for everything from tuition and books to daily expenses. Thanks to the generosity of donors and alumni, there are approximately $2 million in scholarships up for grabs every school year. 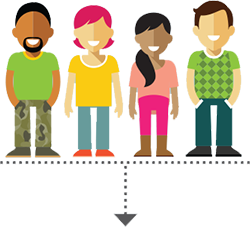 Being a student is about so much more than attending classes and work placements. It's about meeting new people, developing new skills, getting involved and having a lot of fun. That's great news! Once we receive your application we will mail you your Sask Polytech identification number. This number lets you create an account on mySaskPolytech where you can check the status of your application and find tips on easing into life on campus. Email us at askaquestion@saskpolytech.ca or reach us by phone at 1-866-467-4278. Create a free account with mypath.saskpolytech.ca and be the first to get info and invites to events tailored to your interests.